XpressWeb is a Web design and web development agency based in Wellington Somerset. We build high end websites for Somerset Businesses for just £28.99 per month. Established in Somerset, in late 2013, we are steadily building in strength, expanding our product-set and growing our customer base in Somerset and beyond. Our customers include start-ups, freelancers and SME’s needing websites or hosted solutions, and larger companies looking to outsource software and web development work. We also have a special interest in the community and commercial opportunities offered by open data projects. Want to know more? Take at a look at this. Are you a freelancer, a start-up, or SME based in the Somerset, Devon, West Dorset or Bristol area? Now imagine if you could find that kind of service right on your door-step. Well if you are based in the Somerset, Devon, West Dorset or Bristol area and you need a new website, you can! 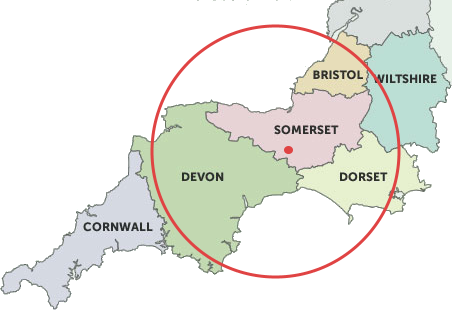 If you live within a 50-mile radius of our base in Wellington, Somerset, you are eligible for Core+. This includes our core website build and hosting package (priced at £28.88 per month), plus 1 one-hour face to face meetup per quarter.